Home / Blog / Pest of the Month: The House Spider. Will He Be Your Summer Guest? Pest of the Month: The House Spider. Will He Be Your Summer Guest? Arachnophobia, or an extreme fear of spiders, is one of the most common phobias. Fear can be an effective way to protect yourself — you certainly shouldn’t get too close to a venomous spider like the black widow or brown recluse. However, while there are an estimated 40,000 varieties of spiders in the world, very few of them are actually a threat to humans, including the common house spider. Most human-spider contact happens at home with a harmless house spider. A few spider species fall under the category of common house spiders, but to a person who doesn’t want to live alongside a spider, they’re all pretty much the same. A natural pest control plan is the best way to prevent spiders, but first you need to understand exactly what’s attracting them. Where do spiders like to live? Spiders live almost everywhere and can survive in many different environments. 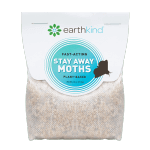 They usually prefer dark, undisturbed areas, and scent-free environments, but will make their home wherever their basic needs can be met. Like all living things, a spider needs food and water. House spiders are most often found up high in corners, in crawl spaces, basements, and garages. 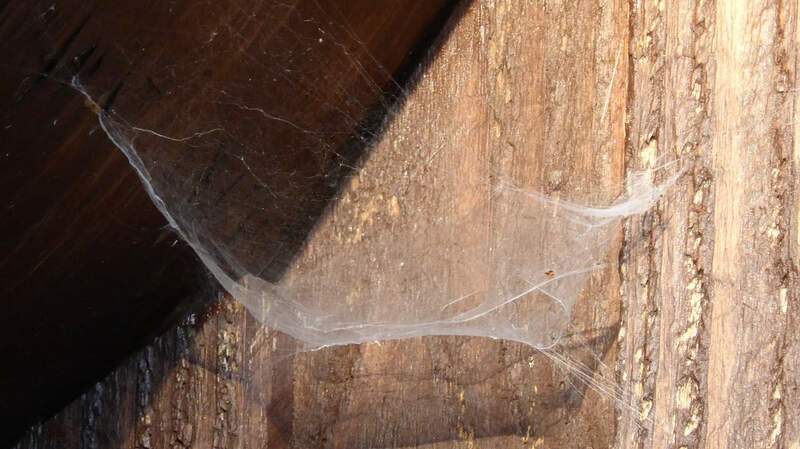 They are web-building spiders, meaning they wait for food to come to them rather than hunting insects. Spiders are extremely sensitive to vibrations, and can tell the difference between the feeling of a moth, fly, or other insect getting caught in their web. Spider senses make it easy for spiders to know if they should keep or release an insect caught in its web, or if the creature disturbing the web is large and threatening so the spider should stay hidden or retreat. They favor living in a home or building that has Don’t be surprised if you find many webs throughout your home. Spiders will abandon one and move on to the next if the location does not yield much food. While finding cobwebs in your home is a sign that you have a house spider living with you — finding many does not necessarily mean you have a spider infestation.other pests and insects living in it too. Insect hot spots, like moist areas, near a water source, or even closer to a bright light, are attractive to spiders because that means more food. Places such as bathrooms, or by appliances like the water heater are favorable to the house spider. What’s the big deal about a little spider? Spiders are not aggressive by nature and do not bite people unless they are threatened or disturbed. However, because they are experts at living in an area undetected, people don’t always realize when they are threatening a spider. You can avoid accidentally aggravating a spider by shaking out your shoes and clothing before putting anything on, and by pulling back the covers and doing a quick visual check before climbing into bed. Even if a spider does bite you, very few spiders pose a serious health threat. The most common reaction to a spider bite is similar to any bug bite — a raised, red bump. Unless you are experiencing severe pain, abdominal cramping, or worsening discoloration of the bite, you probably don’t need medical attention. In most cases of a spider bite, you can wash the area with soap and water and use an ice pack or cold compress if needed. Spiders are especially skilled at catching and killing other pesky insects. If it weren’t for spiders, can you imagine how many more mosquitoes would be buzzing by your ear? Or how many more flies you’d have to shoo? Or the armies of ants that would go marching across your picnic in the park? When they aren’t busy providing you with free pest control, they’re still doing pretty amazing things. 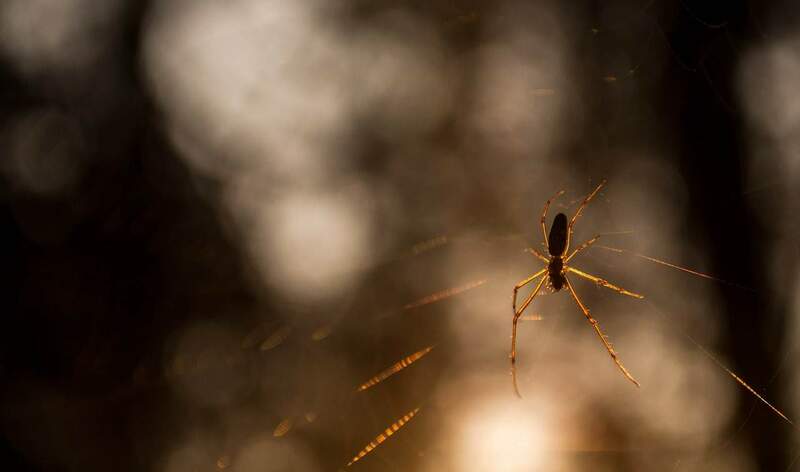 Spider silk is one of the strongest known natural fibers with uses ranging from the thread in crosshairs for microscopes, telescopes, and rifles to potential medical and commercial applications. Spider venom is being investigated for alternative uses from treating muscular dystrophy, Alzheimer’s, and even cancer. It’s okay if you don’t really like being around spiders, but preventing this creepy crawly is a better idea than killing it. How to stop spiders from making your home their own, naturally. The best way to get rid of spiders is to make your home uninviting to these and other pests. A pest free home means spiders will not have a ready food source so they won’t want to stay. Pest control professionals will recommend you focus your energy on exclusion and sanitation to get rid of spiders. Exclusion means stopping spiders from getting in by blocking potential entry points. Making sure that window screens are intact and doors close properly with a tight seal is crucial for preventing pests. Look closely at the foundation of your home for any cracks or holes, and examine any openings for plumbing, dryer vents, and electrical wires to make sure they are securely sealed as well. Sanitation refers to both cleaning up any existing cobwebs and spiders as well as eliminating their food sources. A vacuum is the best way to clear any spider webs or spiders you may encounter; they can usually escape a broom. Make sure to empty your vacuum canister or replace the vacuum bag when you are done. Keeping a clean house will also reduce the chances of other insects so spiders won’t have a bug buffet in your home. You can make sure spiders Stay Away® by using Stay Away Spider pouches. 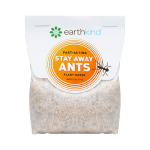 The pouches contain the scent of citronella, lemongrass, and rosemary essential oils which is unpleasant for spiders, as well as many other insects. Follow us on social media to see more spider prevention tips. We’ll be sharing #SpiderBites — simple tips you can use around your house to make sure your home is spider free. 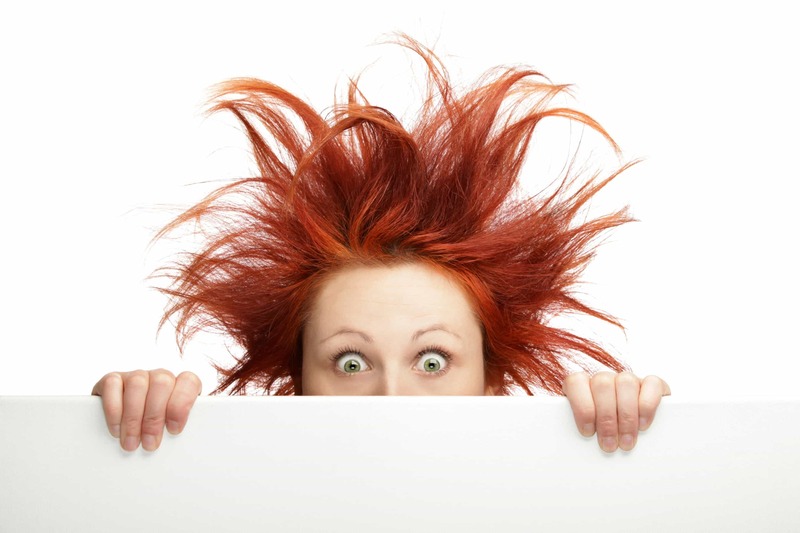 Arachnophobia, or an extreme fear of spiders, is one of the most common phobias. 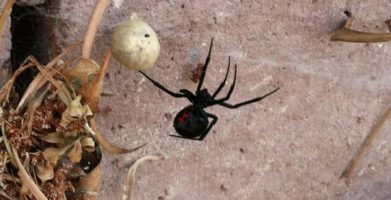 Fear can be an effective way to protect yourself -- you certainly shouldn’t get too close to a venomous spider like the black widow or brown recluse. However, while there are an estimated 40,000 varieties of spiders in the world, very few of them are actually a threat to humans, including the common house spider. House spiders are most often found up high in corners, in crawl spaces, basements, and garages. 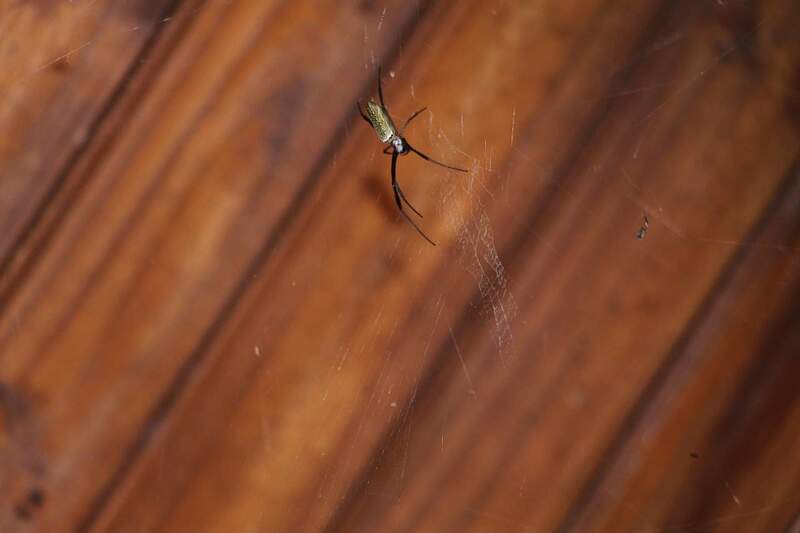 They are web-building spiders, meaning they wait for food to come to them rather than hunting insects. Spiders are extremely sensitive to vibrations, and can tell the difference between the feeling of a moth, fly, or other insect getting caught in their web. Spider senses make it easy for spiders to know if they should keep or release an insect caught in its web, or if the creature disturbing the web is large and threatening so the spider should stay hidden or retreat. They favor living in a home or building that has Don’t be surprised if you find many webs throughout your home. Spiders will abandon one and move on to the next if the location does not yield much food. While finding cobwebs in your home is a sign that you have a house spider living with you -- finding many does not necessarily mean you have a spider infestation.other pests and insects living in it too. Insect hot spots, like moist areas, near a water source, or even closer to a bright light, are attractive to spiders because that means more food. Places such as bathrooms, or by appliances like the water heater are favorable to the house spider. Even if a spider does bite you, very few spiders pose a serious health threat. The most common reaction to a spider bite is similar to any bug bite -- a raised, red bump. Unless you are experiencing severe pain, abdominal cramping, or worsening discoloration of the bite, you probably don’t need medical attention. 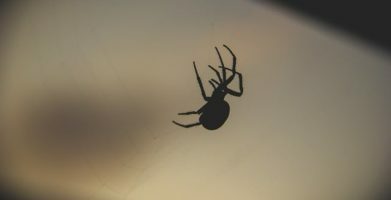 In most cases of a spider bite, you can wash the area with soap and water and use an ice pack or cold compress if needed. Sanitation refers to both cleaning up any existing cobwebs and spiders as well as eliminating their food sources. A vacuum is the best way to clear any spider webs or spiders you may encounter; they can usually escape a broom. Make sure to empty your vacuum canister or replace the vacuum bag when you are done. Keeping a clean house will also reduce the chances of other insects so spiders won’t have a bug buffet in your home. You can make sure spiders Stay Away® by using Stay Away Spider pouches. 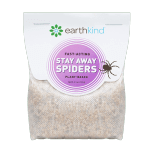 The pouches contain the scent of citronella, lemongrass, and rosemary essential oils which is unpleasant for spiders, as well as many other insects. Follow us on social media to see more spider prevention tips. We’ll be sharing #SpiderBites -- simple tips you can use around your house to make sure your home is spider free. string(66) "Pest of the Month: The House Spider. Will He Be Your Summer Guest?"